Traveling for business these days is much different than it used to be years ago. Long security lines. Delayed or cancelled flights. Not being prepared once you’ve arrived at your destination. These are all things that can add to the stress of travel. Here, a few ideas to lessen that stress and actually enjoy the journey. One proactive move you can make before traveling is to download the mobile app for the airline/airlines on which you are traveling. Once signed in, messages will be sent directly to your phone alerting you of any changes, whether gate changes, flight delays, or even upgrade availability. Now that’s one alert you won’t want to miss! 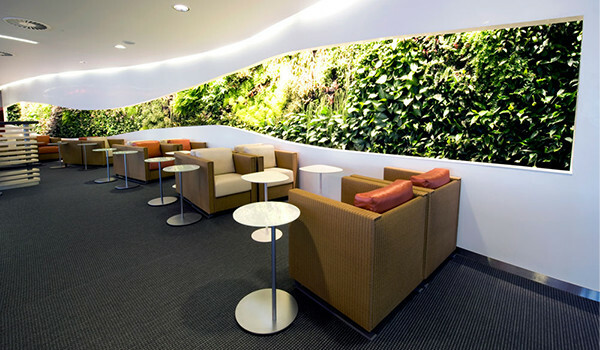 Frequent flyers aren’t the only travelers who can take advantage of exclusive airport lounges these days. Now, some credit cards companies offer complimentary club access when traveling with their card; check out airlines’ credit cards, too. Depending upon how much you travel, it may very well be worth the small investment to have access to not only a quieter space in which to await your flight, but more likely than not access to complimentary WiFi, power sockets, complimentary food and drink, and much more. 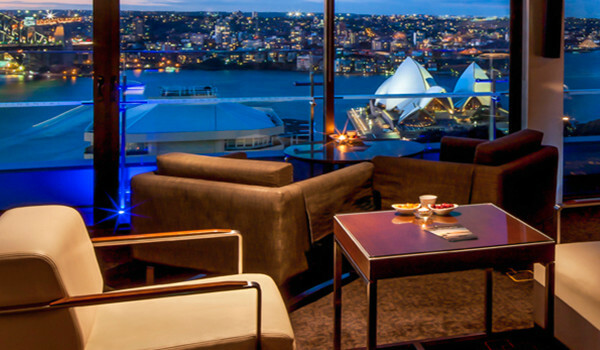 When checking into a hotel, such as one within the IHG® family of hotel brands, ask for a room with a view. That way, at the end of the day when you return to your room to relax, you’ll have a view of the beach/city skyline/iconic landmark to help you unwind, rather than a rooftop or even construction site. There’s nothing worse than traveling to another country only to arrive and realize that you’ve left that part of your adapter at home, like I did this summer in Greece. If only I’d had a universal, all-in-one adaptor that works in most countries all around the world, my life would’ve been so much easier. If you do forget your adaptor at home, ask at the front desk… they may have one leftover from a previous guest and you’ll luck out like I did! Is there anything worse than paying for Internet access when you check into a hotel? Well, maybe only if the connection is S-L-O-W. Members of the IHG Rewards Club receive complimentary WiFi at any of the 4,900 IHG hotels around the world – why not sign up today and start reaping the rewards? One of the most tedious aspects business travelers find about their trips has to be keeping track of and managing receipts. Enter IHG Business Advantage: payment card holders receive 45 days free credit to use at more than 300 IHG hotels throughout the UK, and as many cards as needed can be requested – one for an entire company, one per department, or even one per traveler. Now, tracking travel receipts is as easy as 1-2-3, and when you sign on with IHG Business Advantage, your accounting department will be thrilled. What tips do you have for keeping calm whilst traveling?